As soon as one has been able to book their venue for their wedding, it is very essential for them to lock down on a good caterer as well. Certain venues are able to provide in house catering services, in which case one may easily coordinate with the venue coordinator or the caterer to helper with the selection of the menu. However, in the event that one finds that the venue does not cater for catering services, then one needs to outsource the caterers. When catering an event in Sacramento, one may need to take into consideration a few things before going ahead and hiring a catering service for their wedding as there is need to make sure that the guests are well-fed. Listed below are some things that one needs to consider when hiring a wedding catering service in Sacramento. 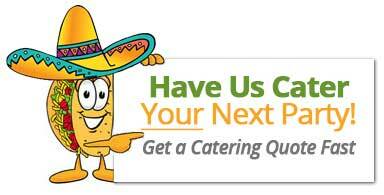 Just like everything else in your budget, there is need for one to establish a budget for catering. There is no set of rules that dictates what budget that one needs to have for their wedding as they just need to have planned for it prior depending on the number of guests that actually show up for the wedding. Depending on one’s preferences, the food budget may end up being more if one is a lover of gourmet food, and they may end up allocating lesser funds to things like flowers and the likes. This all boils down to preference, the menu may be very simple or very sophisticated depending on what it is that one wants. This is because the menu is very essential in matching the theme of the wedding. If it’s brings out a rustic charm or a vintage glam then there is need for one to take into consideration that the menu needs to somewhat reflect the theme. In addition, there are different menu types such as buffet style catering, plated multi-course, and family style which one may pick when it comes to serving. One may even order a food track for their wedding to help in catering, it all boils down to preference. When it comes to picking the right caterer, there is need for one to be very careful to pick someone who appeals to one’s values, personality, and one’s budget as well. They also need to be very professional and qualified in order to be able to cater for the wedding as professionalism goes a very long way. Before one signs anything binding, they need to make sure that they are comfortable with the contract that is being given and that they can work with the caterer. Nevertheless, one also needs to consider the fact that if the Sacramento catering company is working other events that weekend, will they suffer as well or what will happen exactly.one needs to ask their caterer to provide an itemized invoice in order to show what exactly one is being charged for. Clarify when one is to do the payment schedule and whether they pay before or after the event. In summary one may be able to get the best wedding caterer in Sacramento by simply visiting www.SacTacos.com or calling 916.529.3285 to get the information they need.